Over 100,000 people will be treated in critical care situations each year in England and Wales alone. The vast majority recover and are discharged home but a significant percentage will have long-problems and rehabilitation will be difficult. Now FES combined with movement therapy - a form of FES Cycling - can combat issues such as muscle weakness and loss of muscle bulk. Following a critical care experience, patients can experience anxiety, depression and cognitive dysfunction as part of this Post Intensive Care Syndrome. It is believed that exercise and steps to improve vital signs during critical care can assist recovery and reduce the likelihood of PICS. 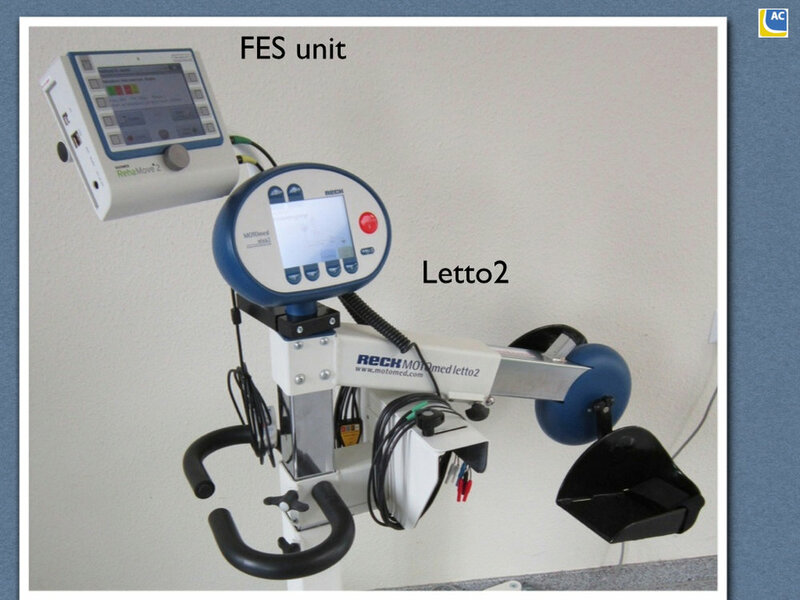 The popular LETTO 2, developed to bring movement therapy to critical care and rehabilitation situations, has been enhanced with the addition of the RehaStim FES unit. The result - LETTO2 FES - allows persons in bed and relatively immobile to exercise and thereby accelerate the rehabilitation process even when the patient is unconscious. What's included in the LETTO2 FES for legs? Options: Many options are available to optimise the system for individual usage. Post Intensive Care Syndrome (PICS) is now a recognised collection of issues that greatly complicate recovery. As a result, attention is being given to how best accelerate recovery and keep this syndrome at bay.